Are We Going to See Another Tomb Raider Movie Series? Back in 2013, we saw a reboot of the Tomb Raider game series. It was a gritty, violent origin story to the classic character Lara Croft. Not only was it a great game, but it inspired an equally great sequel Rise of the Tomb Raider. The earlier series saw a successful duo of film starring Angelina Jolie. 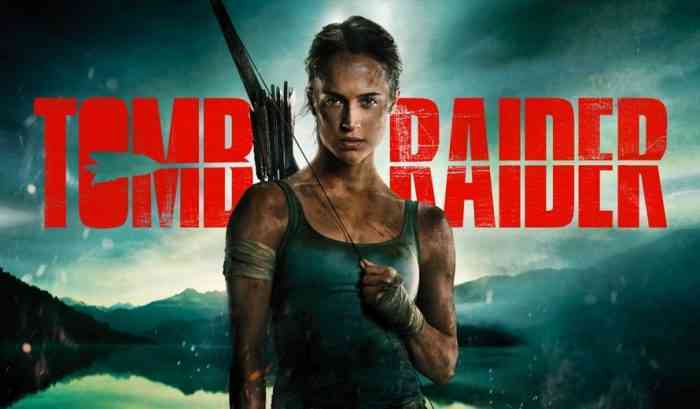 With the success of the new games, Hollywood could not resist a reboot of the Tomb Raider movies as well. The 2018 movie, which received polarizing reviews, stars Alicia Vikander as Lara. Now, as a Tomb Raider sequel is beginning to find its feet, Vikander is said to likely be coming back for it. The story of the game follows Lara Croft and her friends shipwrecked while looking for the lost kingdom off Yamakai. Lara fights against a cult leader Mathias to prevent her friend Sam becoming the vessel for the queen Himiko and escape the island. The movie follows a similar plot with key elements that help it resemble the source material. In the movie, Lara tracks her father to his last known location on an island where he was thought to have died. Mathias is the leader of a group of mercenaries looking for the tomb of Himiko, a queen with supernatural abilities. Lara stops Mathias from harnessing Himiko’s secret. Rise of the Tomb Raider is a very clear sequel to 2013’s Tomb Raider. Alicia Vikander’s Tomb Raider intentionally set up the possibility of a sequel, so it would make sense for a second movie to follow the plot of Rise of the Tomb Raider. Vikander has expressed her interest. Why not? Would you like to see Alicia Vikander reprise her role as Lara Croft? Let us know in the comments below.